Acoustic. Possible female vocalist accompaniment. First known Phish version; acoustic. Possible guest appearance by Marc Daubert, at least one member of The Joneses, and possibly others. This show was an acoustic benefit that also featured performances by The Joneses and The Visions. Fish played percussion instead of a drumkit. Slave appeared to have a female vocalist accompanying Trey. This show also featured the first known version of Dear Mrs. Reagan and the first known Phish versions of Hurricane and Piggies. Makisupa included additional impromptu verses regarding Mike, Fish and their "new friend, Page." Piggies was dedicated to Harry Mitiguy, then president of the Howard Bank (referred to by Trey as "Howard Mitiguy"). The drum jam out of Makisupa may have included Marc Daubert, at least one member of The Joneses, and possibly others. 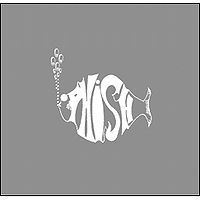 Phish's archivist, Kevin Shapiro, played the Makisupa > Piggies -> Makisupa portion of this show on From the Archives on 10/30/09 at Festival 8. The date of this show may be 11/19/85. This show was part of the "1985 Tour"
11/19/85 aka 11/14/85: Two words - Acoustic Makisupa. I thought this was a wonderfully fun little nugget. "Got a new friend since last year, his name is Page." This is definitely worth having for filler purposes, and it sounds halfway decent, too. I could do without the Hurricane, and I again second what @cjfphan21 said - Trey butchers the vocals pretty badly. I know that Dylan can't really "sing" per se, but if you ever try to copy what he does, it can be pretty tricky. I have to give bonus points for the Makisupa, though, and throw 3 stars for this one. Trey kinda murders the vocals for Hurricane, but overall it's good playing wise and Dylan was never the best singer himself anyway. I wish they'd play this again. Makisupa-> Piggies-> Makisupa-> Drums is good. Fish's solo is pretty cool, though I wish it didn't cut off but oh well. I'm gonna go on the high end with 3 stars. Some other folks can throw on some 2's to knock it down some. Unlike the other reviewers, I actually like the Hurricane. Sure Trey can't quite get all of the lyrics right, but I was raised on Jerry so I'm used to this kind of thing. The important part is that the performance is compelling, and this may be the earliest bit of solo Trey acoustic onstage that circulates. Unlike the opener, Makisupa features the band... though if the comments above are correct, Fish doesn't play drums but just percussion. The tape isn't clear enough for me to really discern whether there is any form of drum being used here... conga maybe? In any case, the clear winner of this performance is Page who now has an obvious role in this song. And a welcome addition he is! Well worth the 21 minutes to listen to this!